Well, I’ve got marker all over my hands, I’m contentedly tired after a hard day’s work, and I made 30 new little friends today. That’s right- a new school year has started! 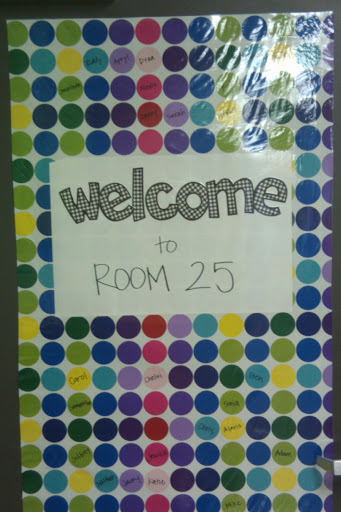 I moved into a new classroom this year, and I’m really loving it. 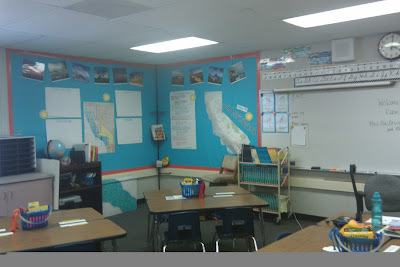 I like making my classroom a place that is functional and enjoyable for my students, but also a place that I like being in everyday. I don’t go too crazy with decor themes, but I do like a little something that ties everything together. So this year, I went with polka dots because I just can’t get enough of them. Here are some pictures! Found this wrapping paper to use for my door, and I just think it is so stinkin’ cute. View from when you first walk in the door. 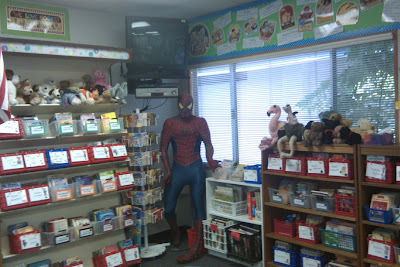 Spidey’s got a new gig: class librarian. 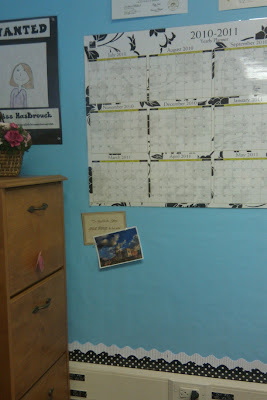 Nerd alert: I really like my new calendar and the blue/black & white polka dot combo. I mean REALLY like. It’s even more fun when it’s full of 9 year-olds! Laura, you make me want to go back to elementary school. Like for reals! It all looks great, Laura. I really like the polka dots and especially like Spidey’s new roll as the librarian. The dots are cool, but Spidey is still my favorite! I would want to go and learn there. 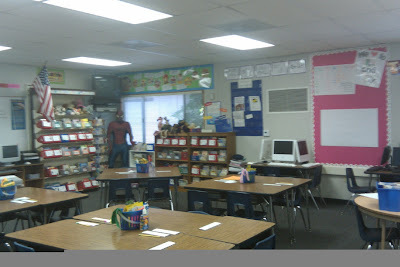 I’m glad to see Spidey is still doing his part to save the world, one school room at a time. What a wonderful blessing for those 30 little friends! Your room looks great Laura! Oh, how I miss teaching. 🙂 I love how organized your library is. 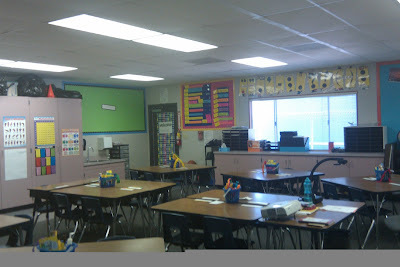 Your classroom makes me want to go back to elementary school! I totally love it.